The European Union has presented Vladimir Putin with an irresistible strategic prize, on a platter. By insisting rigidly that Greece's radical-Left government repudiate its electoral pledges and submit to ritual fealty - even on demands of little economic merit, or that might be unwise in the particular anthropology of a post-Ottoman society - it has pushed the Greek premier into the arms of a revanchist Kremlin. The visit of Alexis Tsipras to Moscow has been a festival of fraternity. On Wednesday he laid a wreath at the Tomb of the Unknown Soldier and spoke of the joint struggle against Fascism, and the unstated foe. The squalid subject of money was of course avoided. "Greece is not a beggar," he said. "The visit could not have come at a better time,” said Mr Putin, purring like the cat who ate the cream. EU sanctions against Russia will expire in June unless all 28 states agree to roll them over, and Mr Tsipras has already signalled his intent. "We need to leave behind this vicious cycle," he said. "Greece is a sovereign country with an unquestionable right to implement a multi-dimensional foreign policy and exploit its geopolitical role," he added, for good measure. A Greek veto on sanctions will embolden Hungary's Viktor Orban to join the revolt, this time in earnest. His country has just secured a €10bn credit line from Russia to expand its Paks nuclear power plant, a deal described as a "purchase of political influence" by a leading critic. Slovakia is quietly slipping away from what was once a united (if fractious) EU front to deter further Kremlin moves into Ukraine. There is safety in numbers for this evolving constellation, what Mr Putin's foes would call the EU's internal "Fifth Column". Brussels can bring one to heel, but not a clutch of rebels. It is becoming powerless. Needless to say, a failure to renew sanctions at a time when the Donbass is still under the control of Mr Putin's proxy forces would drive a wedge between the US and Europe, further draining the life-blood from the Atlantic alliance and what remains of the Western security structure. But it does not stop there. The EU project is close to unravelling in the East. We thought we knew where we stood when the final decision was made in June of 2003 - in Athens of all places - to admit the former captive nations of the Soviet bloc, all clamouring to join what seemed to be an enlightened club of democracies under the rule of law. I was there for The Telegraph when Tony Blair stood at the Stoa of Attalos, near the colonnades of Socrates and Plato, and exalted in their newly-won freedom from "dictatorship and repression". Now we have a government in Budapest that scoffs at press freedom and judicial independence, and a government in Athens that is desperately defending its own democracy against the EU itself. Mr Putin merely has to bide his time and the EU's southeastern flank will fall apart. Europe's creditor powers have warned Greece not to trifle with them, or to play off Brussels against Moscow, but seem strangely unaware that they too must make concessions to prevent matters spinning out of control, for them as well as for Greece. Their imperious reflex is instead to issue tone-deaf demands to Mr Tsipras, ordering him to ditch the Left Platform within his Syriza coalition and form an alliance with the discredited remnants of the old regime - the same oligarchy that plundered the country. "They are trying to negate the results of our election. It is a naked flaunting of the democratic process and will generate a very strong reaction," said Costas Lapavitsas, a Syriza MP. "Whenever foreign powers try to meddle in this way it leads to the opposite results. Tsipras knows that it would be the end of his political career if he followed such a disastrous course," he said. Syriza have had a steep learning curve. They imagined it possible to forge a common front with Portugal, Italy and Spain against the austerity regime, hoping that France's socialist leader would fight their corner in the EU Council. "They sinned by an excess of optimism," said Professor Jacques Sapir, from the École des Hautes Études in Paris. They discovered instead that the conservative governments of Spain and Portugal - "Axis Powers" in a revealing outburst by Mr Tsipras - were their most implacable foes, and for obvious reasons. The Iberian leaders have staked their own futures on compliance with austerity, and both face populist threats at home if Syriza wins any concessions. Prof Sapir said Syriza had made the same sort of mistake as the Bolsheviks in 1917, who dreamed that their example would set off a parallel revolution in Germany. When it failed to do so, their strategy collapsed, forcing them to fall back on autarky. A chastened Syriza seems increasingly reconciled to ejection from EMU, though keenly aware that this can only be justified to the Greek people if forced upon them. "The Greek government has understood that it cannot find any common ground with the Eurogroup and the European Central Bank, unless it accepts unconditional capitulation," he said. One Greek official told me Athens is not even asking Russia and China for serious money at this stage, telling them it would be pointless. Syriza is already looking beyond, exploring who can help them rebuild after the inevitable default - whether inside EMU as they once hoped, or outside EMU as they now fear. Russia is not rich enough to rescue Greece. It is in a deep crisis of its own - facing economic contraction of 3pc this year - and risks Soviet-era stagnation if oil prices settle near $60 a barrel. Most of its $360bn foreign reserves are needed to plug holes and to help Russian companies roll over hard-currency debt. Yet it is not broke either. Mr Putin said he discussed "cooperation in various sectors of the economy, including the possibility of developing major energy projects" rather than any request for aid. That is how diplomacy is conducted at this level. The litmus test of what is really happening will be whether Russia buys Greek T-bills coming up for sale, relieving pressure as Greek banks are told to step back by the ECB. Athens must roll over €1.4bn on April 14 and €1bn on April 17, and this may be stressful. China has already bought €100m of T-bills as a show of moral support. Syriza has enough money to pay the International Monetary Fund €458m on Thursday, but this leaves it short of money to meet €1.7bn of pensions and salaries five days later. They have already scratched the cupboard bare, though small sums can perhaps be conjured from hospital funds or by raiding accounts at the central bank. We would not necessarily know whether Moscow has offered any sort of bridging loan - perhaps indirectly - to cover this immediate shortfall. The EMU authorities have signalled that they may be willing to disburse some funds once the IMF has been paid, preserving the formal niceties of the EU-IMF Troika. But as The Telegraph reported last week, Syriza fears a trap. "They are trying to put us in a position where we either have to default to our own people or sign up to a deal that is politically toxic for us," said one official. The situation was so serious by then that finance minister Yanis Varoufakis flew to Washington on Easter Sunday to break the impasse with the IMF's Christine Lagarde. Greece agreed to meet its IMF payment: the IMF in turn agreed to show "utmost flexibility" over Syriza's reform plans. This looks like an IMF pledge that the Greeks will not be left high and dry on April 14. Syriza has wisely decided that it would be dangerous to default on the IMF, or even to fall into arrears. No developed country has ever taken this step. Peru's Alan Garcia - the Tsipras of his age - did default in the 1980s and later said it was the worst mistake he ever made. If they have to default, they would rather pick their fight with EU creditors and above all the ECB, enemy number one after it took the pre-emptive political decision of cutting off a key lifeline for Greek banks within days of the Greek election. As it happens, Greece must pay the ECB €194m in interest on April 17. Even if Greece manages to cobble together enough money to meet rolling demands through the Spring, it cannot possibly cover €6.7bn in bond redemptions to the ECB in July and August unless there is a fresh bail-out programme. Nor does Syriza wish to pay, given that the ECB bought these bonds in 2010 to bail out German and French banks and to prevent an EMU-wide banking crisis, not to help Greece. The Greek parliament was never consulted. Nor too does Syriza see much advantage in delaying the agony. "If it is going to happen, what is the point of waiting?" said one minister. A former ECB official said the fear is that Greece will kick off with a selective default to Frankfurt, judging this the easiest political target. It would cover both bonds and €80bn of "Target2" liabilities to the rest of the ECB network that have built up automatically due to capital flight. "The crucial point is that Target2 liabilities are not backed by collateral. The Greeks can simply abolish the Bank of Greece on a Friday evening, and create a new central bank to be ready on the next Monday morning. There is no court in Europe that can enforce a payment against a Bank of Greece that no longer exists. This is their best chance of protecting the Greek people but it will not be pretty for the ECB," he said. If Syriza pulls the pin on the Target2 system it will cause trauma for the ECB - and possibly a forced recapitalisation at the cost of member states - and set off a political storm in Germany. Hans-Werner Sinn, from the IFO Insitute, has long been warning that Germany and other creditor states are on the hook for huge amounts through Target2 that have never been acknowledged, or approved by the Bundestag. His jeremiads have prompted dismissive replies from the Bundesbank and the political authorities. Yet if these losses are crystallized in Greece, it is far from clear whether the German parliament would continue to allow Target2 to incubate much greater potential losses in the rest of southern Europe. Without Target2, the eurozone is finished as a functioning monetary union. Mr Putin must surely be smiling that he has won such an easy trick with such a weak hand. He watched in horror as the Soviet Union went into self-destruction a quarter century ago. This time he has the satisfaction of watching his much richer enemies tear themselves apart over mere money. Everyone is looking for the holy grail of the financial market which will tell what will happen next in stocks, commodities, bonds etc… Knowing that the holy grail of trading does not exist I am going to step out on a limb and share my four month stock market forecast along with commodities and bonds. It is vital that you understand this is a 2-4 month forecast only and as the market evolves my outlook will change as I follow price action as closely as possible. Bonds should perform well for a few months and possibly a long time until the bear market in US stocks takes hold and is well under way. BUT, the bond bubble will burst eventually when rates start to climb. This could be June, or much later in the year but until then I expect them to rise as the safe haven. Commodities typically outperform equities during the late staged of the bull market which is what I feel the US stock market is. Resource stocks and resource rich countries like Canada should hold up well, and possibly make new highs going into summer. 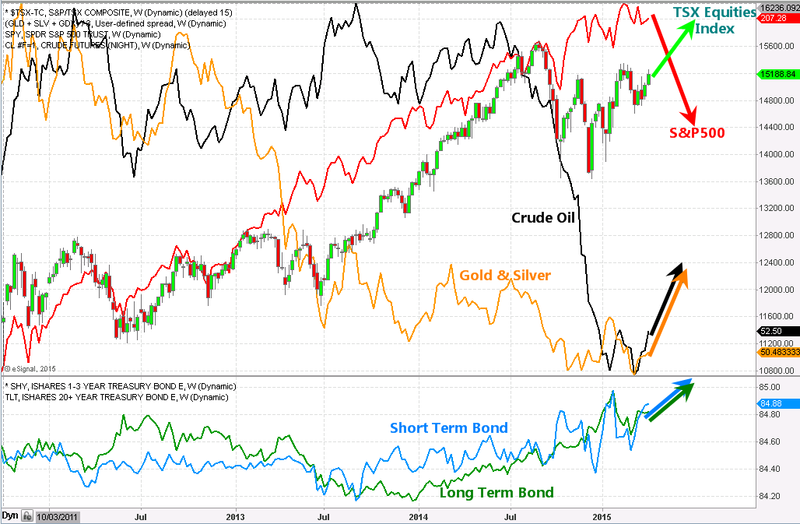 Notice how gold and oil have moved from opposite corners of the chart compared to the US and Canadian stock indexes. 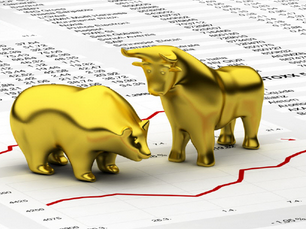 During the 2000 and 2008 bear market we saw gold, silver, oil and mining stocks get hit very hard in the second half of the bear market. Will this happen again? I do not think it will because this time rates are at zero and there is only one way to go when they are at the bottom… Up!. 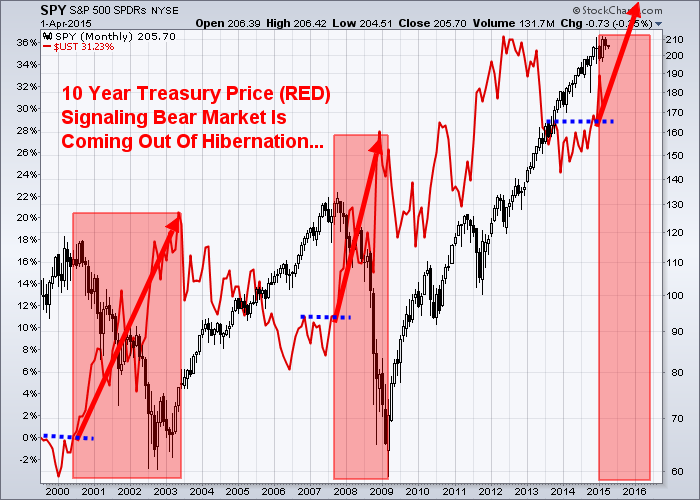 This means stocks and bonds will likely both enter a bear market, maybe not at the same time, but they will eventually. This means the only places to protect your capital will be commodities, resource based investments, or simply cash CAD & USD. In short, safe havens for investor’s capital will be more of a dance during the next bear market in US equities. With many countries devaluing their currencies and a potential bull market in commodities I expect the Canadian Loonie and US Green Back to hold the value if not rise over the next year or two. My grandparents Fushakichi and Mitsue Sagami, my father, and my nine uncles and aunts were among the 110,000 Japanese-Americans living on the Pacific coast who were locked up for almost four years in internment camps during World War II. Despite that treatment, my father was passionately patriotic about America. He’s the only man whom I’ve ever known who would stand at attention and place his hand over his heart in his own home when the national anthem was played on TV before a sporting event. My father taught all of his children to love this country. “In America, you can be president, Tony,” my parents regularly told me. I didn’t become president, but my siblings and I are truly great American success stories. That’s why I cringe whenever I see politicians like Senator Robert Menendez and Congressman Anthony Weiner behaving badly and bringing shame to our country. But our elected politicians aren’t the only ones who stretch the truth. Some of our government agencies are just as bad, and that’s why I always dig below the headlines to figure out what the real truth is. Take last week’s report from the Commerce Department about personal income, personal spending, and price. The Commerce Department reported that wages increased by 0.3% and that American spending was up 0.1% in the month of February. That wasn’t much of an increase in spending, but Wall Street interpreted that as a giant victory given the heavy snow that covered the Northeast in February and sent the Dow Jones Industrial Average up by 263 points, or 1.5%. Wall Street was impressed, but they shouldn’t have been, because those numbers were massively massaged and very misleading. The Commerce Department used some accounting magic to come up with that positive spending number. The Commerce Department uses something called the Price Consumption Expenditure or PCE deflator. The PCE is a mathematical attempt to factor in price changes to come up with inflation-adjusted numbers. The PCE deflator converts “real” numbers into “adjusted” numbers, and that’s where the deception lies. More often than not, the massaged numbers are changed to fit the needs of our lovely elected officials in Washington, DC. In short, the PCE numbers are a bunch of crap. Since October, the magic calculator of the PCE deflator had been flat or even negative, but the Commerce Department decided to change the PCE deflator to +0.2 in February. The excuse for the change was to adjust for the drop in gasoline prices. That seemingly small adjustment to the PCE deflator changed the “real” numbers from negative to positive. Instead of personal spending being up +0.1% in February, the original unadjusted number was -0.1%. So much for being positive. And the PCE isn’t an isolated issue, either. There are all sorts of accounting hanky-panky going on in Washington, DC. But perhaps the biggest impact on the Bureau of Labor & Statistics inflation model is the slippery concept of “Hedonic Quality Adjustment” that attempts to adjust for improvements in quality. Here is an example from the BLS’s own website. Item A is an old TV model that’s been discontinued, and Item B is a new, fancy plasma TV. The new TV costs five times as much as the old TV, but because the quality of the new TV is so much better, the BLS adjusts the price to factor in the higher quality. The result of that massaging is that the BLS claimed that the “adjusted” price of the new $1,250 TV is actually 7.1% cheaper than the $250 TV. The BLS applies this accounting magic to everything that’s part of the CPI, so all kinds of things we buy are getting “cheaper” even though they’re going up in price. These lower prices help keep increases to things such as Social Security payments and TIPS (Treasury Inflation Protected Securities) bonds low. Love your country, like my father, but always keep a skeptical eye on everything that comes out of Washington, DC. And don’t even get me started on the accounting hanky-panky that the accounting departments of publicly traded companies use to goose their earnings numbers. The professional liars make the Washington, DC crowd look like amateurs; that’s why I apply the same skeptical analysis to corporate America in my Rational Bear service. You can read about two companies which recently appeared in Rational Bear: both are facing terrible earnings due to the stronger dollar. You can also join me at John Mauldin's Strategic Investment Conference in San Diego on April 29 to May 2. The speaker lineup is the best I've ever seen anywhere. This is the one conference you should attend. For more information, go to http://www.altegris.com/mauldinsic. Two Nobel laureates on gene technology capable of making changes that are heritable by generations to come. Modern biological research continues to generate new technology at a staggering pace, bringing to society new challenges and new opportunities. A recent appearance is the so-called CRISPR/Cas9 technology for altering genes in the body’s cells, including, most troublingly, early embryonic cells. To understand the challenge brought by this technology it is important to make a distinction between somatic cells and germ-line cells. Somatic cells are the run-of-the-mill cells of our bodies: muscles, nerves, skin and the like. Germ-line cells are the egg and sperm cells that, when joined, give rise to offspring. Making gene changes in somatic cells can have dramatic effects, but they are not transmitted to the next generation and therefore fall comfortably into the category of pure therapeutics and generate minimal controversy. It is changes in germ-line cells that create heritable alterations. The advent of CRISPR/Cas9 again sees a biomedical technology challenging norms and raising concerns. CRISPR/Cas9 makes it comparatively easy to modify germ-line inheritance by inserting, deleting or altering bits of DNA. It may be possible to make these alterations quite precise, with no undesired changes in the genome. Nevertheless, such changes would be inherited not only by the next generation but by all subsequent generations. Thus the decision to alter a germ-line cell may be valuable to offspring, but as norms change and the altered inheritance is carried into new genetic combinations, uncertain and possibly undesirable consequences may ensue. It is important to put this new capability and its potential applications into context. There are two types of germ-line modification to think about. One aims to eliminate a defect responsible for a serious disease, an outcome most would view as an unalloyed good. If we could assure that a child of afflicted parents did not inherit Huntington’s Disease, for example, that would be a blessing to the child, to the parents and to society. At present, there are several conceivable paths to achieving this end. One scenario might be to make the necessary genome modifications in cells that can be converted to eggs or sperm, where the desired changes can be verified before they are used to create embryos by conventional in vitro fertilization and implantation. However, germ-line modification is not the only way to avoid inheritance of a Huntington’s gene; there are embryo-selection methods that achieve the same end. In fact, only in rare circumstances are germ-line alterations the only way to achieve avoidance of passing on a deleterious gene. 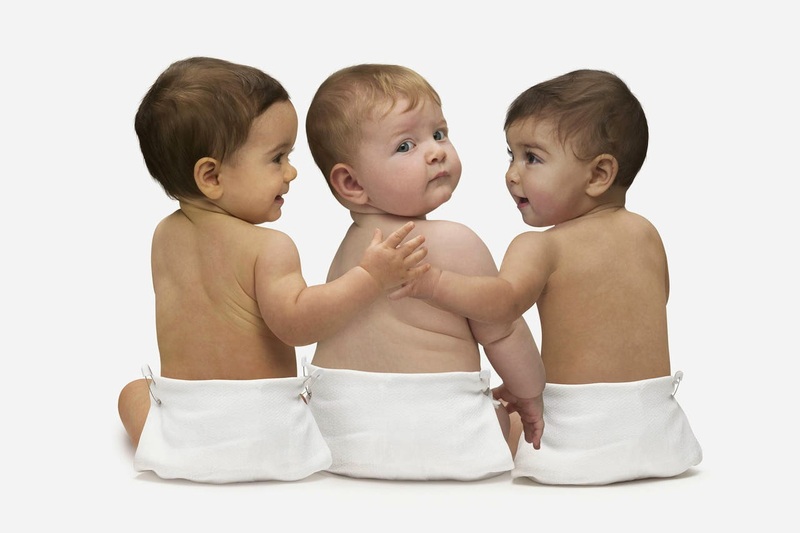 The other, more unsettling kind of germ-line modification would involve attempts to modify inheritance for the purpose of enhancing an offspring’s physical characteristics or intellectual capability. We can call this voluntary modification in that there is no compelling medical need. Choosing to transmit voluntary changes to future generations involves a value judgment on the part of parents, a judgment that future generations might view differently. This can be seen as eugenics, thought by earlier generations to be desirable but now generally considered abhorrent. Also, we often do not know well enough the total range of consequences of a given gene alteration, potentially creating unexpected physiological alterations that would extend down through generations to come. For these reasons and others, voluntary genome alteration might well be outlawed, at least at the present stage of knowledge. The nature of these issues causes us to recall an earlier instance, in 1975, when members of the biological-science community expressed concerns about possible dangers of the newly emerged recombinant DNA technology. In response, scientists who were engaged in the research accepted a moratorium until the safety issues could be evaluated. A conference was then held at the Asilomar conference center in California, which we helped to organize, where scientists and others debated the potential risks and benefits of the technology and crafted a way forward. Although somatic-gene therapy was viewed at that time as having become possible, the prospect for germ-line therapy seemed so far in the future that it was not seriously discussed. Responding to the current concerns about the potential applications of the CRISPR/Cas9 capability, scientists—including some carrying out the research—have again called for a moratorium on the most problematic application of the technology, germ-line modification, and for the convening of a new international meeting to consider a way forward. We would support a move to hold such a conference. Those of us in the scientific community need to think carefully about the implications of our actions in both practical and ethical dimensions. Biomedical research offers hope for the alleviation of human disease, yet to address complex diseases like cancer we must carry our investigations to the most fundamental elements of living systems. This gives researchers powerful capabilities that can be used for reaching desired goals. We need to ensure that we have widespread agreement about what is desirable. Dr. Baltimore is emeritus president of the California Institute of Technology and the Millikan professor of biology. Dr. Berg is Cahill professor of biological chemistry, emeritus, at Stanford University. Both are Nobel laureates. Charles Hugh Smith and Gordon T Long discuss the changing global nature of work. "The Web is the New "Wild West"!